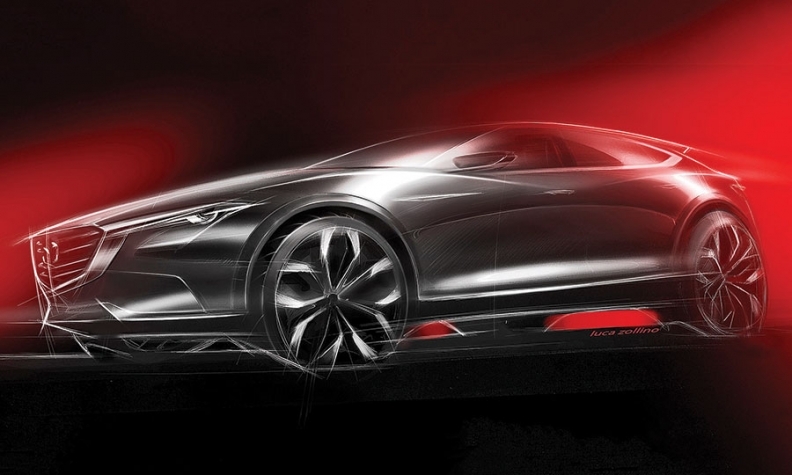 LOS ANGELES -- When it unveils the redesigned CX-9 crossover this fall, Mazda will have built an entire lineup of products with Skyactiv technology and Kodo design. Over the next two years, Mazda will freshen the Mazda3, Mazda6 and CX-5 to keep customers interested. Mazda2: Production of the redesigned Mazda2 began last fall at Mazda's new assembly plant in Salamanca, Mexico, but U.S. executives didn't raise a hand for the subcompact car, powered by a 1.5-liter, four-cylinder Skyactiv engine. It's possible the Mazda2 hatchback will arrive in U.S. showrooms once it is no longer in short supply. After all, it has been certified to U.S. standards so Toyota can sell the Mazda2 sedan as the Scion iA -- and Mazda can sell the hatchback in Puerto Rico. But it isn't a priority for U.S. executives, who want to move the Mazda brand upscale. Unless fuel prices climb, Americans develop a taste for subcompacts or U.S. executives are asked to move metal from the Mexican factory, the Mazda2 likely won't be offered. Mazda3: Mazda plans to give the Mazda3 a freshening in late 2016, with most of the changes in the interior. Then, in 2018, the compact car will get a full redesign. It's a crucial step: With the next-generation Mazda3, the company will begin its transition away from Kodo styling toward a new "seventh generation" design. Click here to download a pdf timeline of Mazda, Mitsubishi and Subaru's product plans. Mazda5: Mazda stopped building the U.S.-spec version of the six-passenger Mazda5 minivan in June. It will sell what's left in inventories and isn't planning to offer a next-generation model. That should come as no surprise. The niche occupied by the Mazda5 has been squeezed by the rise of crossovers. With just 52,597 sold worldwide in the 2014 fiscal year, the Mazda5 was outsold more than 6-to-1 by the CX-5, which costs about the same but gets significantly better fuel economy and seats five in comfort. Mazda6: Mazda gave its midsize sedan a face-lift for the 2016 model year with a plusher interior and the Mazda Connect infotainment system from the Mazda3. Now, the Mazda6 will get a mild exterior update in the first half of 2016 for the 2017 model year. The CX-3 went on sale this summer. 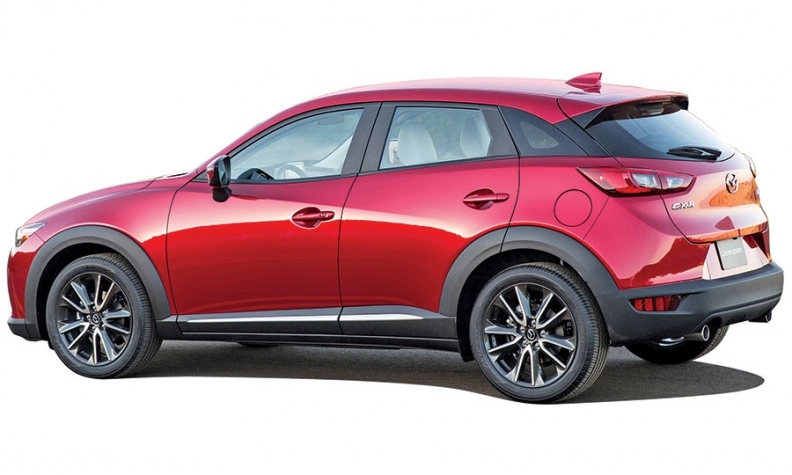 CX-3: Mazda's entry into the burgeoning subcompact crossover segment went on sale this summer as a 2016 model, offering a choice of front-wheel drive or all-wheel drive and the same 2.0-liter, Skyactiv gasoline engine offered in the Mazda3, Mazda6 and CX-5. It's a brand-new product, and it won't get anything more than minor updates through 2018. CX-5: Mazda gave the CX-5 a face-lift for the 2016 model year. Like the Mazda6, it got richer interior appointments and Mazda Connect. The compact crossover will get a mild exterior update in the first half of 2016 for the 2017 model year. CX-9: Mazda's midsize crossover is getting a clean-sheet redesign for the 2017 model year, completing the overhaul of Mazda's lineup using Skyactiv powertrains and Kodo design. It will go on sale in the U.S. in the first quarter of 2016 after a debut at this year's Los Angeles Auto Show. Only a three-row version will be offered. With the redesign, Mazda set out to make the seven-seat cross-over lighter and more efficient to match family-hauling rivals such as the newly redesigned Honda Pilot. Mazda also sought to phase out the 3.7-liter, V-6 engine from the current CX-9, a relic of Mazda's tie-up with Ford Motor Co. Mazda lacked a Skyactiv engine with enough oomph to do the job, so it developed a turbocharged version of the 2.5-liter, four-cylinder Skyactiv widely used across the lineup. Performance variant: By adding a turbocharged, 2.5-liter engine to its parts bin, Mazda gained a suitable engine for a performance variant of an existing product. In fact, Mazda built the business case for the engine around that possibility. Car buff magazines have speculated that Mazda plans to revive the Mazdaspeed3, the quicker version of the Mazda3. But the hot-hatch segment, which includes the Volkswagen Golf GTI and Golf R, the Subaru WRX and WRX STI, and the Ford Focus ST and RS, is crowded. Mazda's exact plans are unclear, but the company is thinking of using its engine for a different purpose: a high-powered, range-topping version of the CX-3, CX-5 or Mazda6. For a hint of Mazda's plans, look no further than the Koeru crossover concept that the company plans to unveil at the Frankfurt auto show, which is being touted as delivering "driving performance." MX-5 Miata: The fourth-generation MX-5 Miata roadster went on sale in the U.S. this summer with a 2.0-liter Skyactiv engine. Mazda plans to supply a reworked MX-5 with a turbocharged, 1.4-liter engine to Fiat Chrysler for sale as the Fiat 124 Spider. Mazda also is working on a retractable hardtop version of the MX-5 with a unique, fastback-style silhouette, Automotive News learned last year.